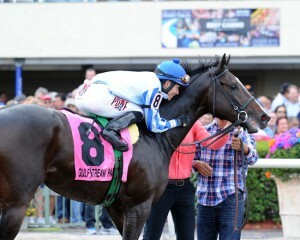 Upstart On Upswing Going Into 2015 Fountain of Youth at Gulfstream Park: Knocking Upstart’s form would prove a difficult task. In five starts, the Flatter ridgling never ran out of the money while running a 5-3-1-1 record. His last win in the G2 Holy Bull on this racetrack came after breaking from the No. 8 post position in a two-turn route, a difficult assignment at Gulfstream Park. Before the Holy Bull, Upstart placed in the Breeders’ Cup Juvenile and Champagne Stakes last fall. Currently with 16 Kentucky Derby qualifying points, Upstart is certainly on the upswing going into the G2 Fountain of Youth Stakes on Saturday, February 21, 2015. Currently with 16 Kentucky Derby qualifying points, Upstart is certainly on the upswing going into the G2 Fountain of Youth Stakes on Saturday, February 21, 2015. In a recent track release, trainer Rick Violette shows a notable amount of confidence. “Even if he regresses, we hope he can still win,” an optimistic Violette expressed. 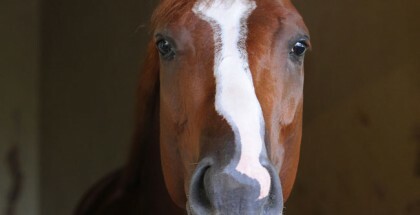 Trainers tend to speak in “trainer-speak,” with rarely a negative word spoken about their horse. But, those words sound like a man that knows his horse possesses more talent than the average three-year-old. Handicappers should feel safe choosing this colt again. Frosted’s conditioner Kiaran McLaughlin just hopes Upstart regresses. “I think the winner was most impressive that day and hopefully he doesn’t run as impressive this time and he drops back to us a length or two and we gain a length or two with the blinkers and a better post position,” McLaughlin said. Frosted starts from the No. 6 post position, just inside Upstart, and in general blinkers come on a horse to help improve focus or display more speed. Like Upstart, Frosted never finished out of the money. His losses came against average competition though. For example, Bayerd defeated Frosted by 11 lengths in Frosted’s debut, yet Bayerd does not run high on anyone’s Derby list. 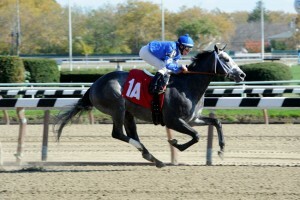 Two starts later, Frosted broke his maiden over Aldrin, a Tapit sibling that received much more hype than his ability. After that, Frosted finished a close second in the G2 Remsen at Aqueduct, which looked good until fourth place finisher Classy Class recently finished a non-threatening third in the Withers. Sometimes blinkers move up a horse, but Frosted’s task to make up five lengths on Upstart is a tough one. Bettors might keep Frosted underneath, and search elsewhere for the upset contender. To the left of Frosted, Itsaknockout hopes to deliver the knockout punch for trainer Todd Pletcher and the Starlight Racing Team. The son of Lemon Drop Kid and a Cherokee Run mare, Itsaknockout ran an impressive race from a fractional standpoint on Jan. 4. With Itsaknockout stalking from third and only three lengths off the leader, the fractions went in a blazing :22, :44 1/5 and 1:08 4/5. Itsaknockout made a stunning move on the turn to draw away by five lengths, earning a 1:35 flat final time and 102 BRIS speed rating. The step in class always becomes a question going from an optional claimer to a graded stakes race. With that in mind, only good horses survive going 1:08 and change for a one mile race, and win. Pletcher believes his colt deserves a shot on the big stage. “So far he’s been impressive in his two starts so this will be a big test of class … but this is the next logical step and he seemed to have handled everything that we’ve thrown at him so far,” Pletcher noted. The entire field needs to chase Bluegrass Singer, almost certainly the pacesetter unless the other jockeys change their tactics. With new pilot Paco Lopez aboard, an aggressive rider, Bluegrass Singer figures to open up a few lengths on the first turn. The class question remains for this one too, as Upstart inhaled Bluegrass Singer in the Holy Bull despite seemingly slow raw fractions. Finally, Derby watchers also want to see how Gorgeous Bird fares in this race. The son of Unbridled’s Song won an optional claimer on Jan. 24 by seven lengths, with the Pletcher favorite Overcontrol surprising bettors by laboring early. Did Gorgeous Bird just benefit from the favorite’s misfire? For the win slots, bettors need to focus on Upstart and Itsaknockout. 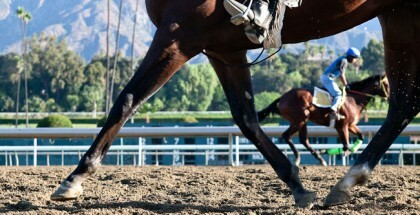 The rest of the field, although talented, require a slight step up in ability to reach the winner’s circle. 7 Upstart 8-5 Ortiz/Violette, Jr.